After finishing 2016 as one of the most prolific offenses in the country, Western Kentucky took a few steps backward through the team's first five games this season. The Hilltoppers entered this past Saturday's 45-14 homecoming win over Charlotte averaging 23.9 fewer points per game and two fewer yards per play this season. The WKU O -- despite the continued services of 2016 C-USA Offensive Player of the Year Mike White -- found itself unable to hit the big play, which was allowing defenses to stack the box. As a result, the Toppers' average yards per rush attempt was down three full yards from a year ago, from 5.4 to just 2.4 yards with each carry. With the 49ers in town fresh off of a 14-3 loss to Marshall, a game in which Charlotte's defense looked solid, an offensive explosion didn't necessarily seem imminent. And, yet, there was Hilltoppers head coach Mike Sanford, strolling into the locker room with 38 points on the board at halftime. So what happened? Did Western manage to hit some deep passes, thus, freeing up some running lanes? Did the Hilltoppers offensive line simply execute better? Was the playcalling exceedingly balanced, keeping Charlotte on its heels? Or did the 49ers simply miss alignments and assignments? The short answer is all of the above. It wasn't any one massive breakthrough that allowed Western Kentucky to display the offensive form for which it has become known. It was a little bit of everything. First things first, the Tops established the ground game. Charlotte's primary concern was the passing game and that priority was clear from the outset. WKU was running against no more than six in the box early on. In this case, Karrington King -- Charlotte's top tackler -- is leaning out over the backside hook-curl zone pre-snap, leaving Charlotte with just five defenders at the point of attack. Here, the Tops utilize pre-snap motion to get King out of the way once again, which, again, leaves Charlotte with just five in the box. King doesn't just slide out with the motion. He completely abandons the run to chase Quinton Baker into the flats. Western also utilized some double-tight sets, and Charlotte was slow to correctly adjust. This is a seven-man box, but the Niners have four defenders to the field, with just two to the boundary. Baker flips the offensive strength pre-snap, and the sweep might as well be run atop a red carpet. Charlotte starts to fill up the box. Because Western Kentucky is executing, hat on a hat, when the numbers are even, Charlotte inevitably begins to commit some additional bodies to stopping the run. In this three-wide receiver set with a tight end to the boundary, the 49ers have eight in the box with Cover 3 in the back. White hits the hitch for a first down, which is fine. But with Quin Jernighan (16) catching the safeties' attention, Deon Yelder (19) slides behind the secondary for a walk-in touchdown if White sees him. There was more trouble with Cover 3 for Charlotte a few plays later. The free safety jumps an intermediate crosser, and with no one in the deep middle, Yelder simply pivots to the middle, where he's all alone for the score. The Tops start to hit 'em with play action. 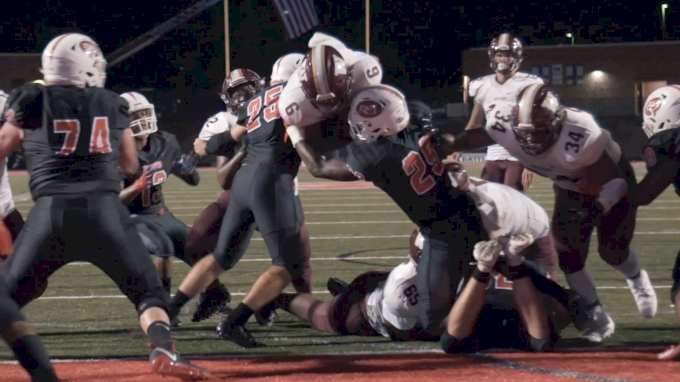 Kylen Towner turned this play into his own personal highlight reel -- at the expense of everyone else's ankles -- but the Toppers' ability to run early has, at this point, perfectly set up some play action opportunities. Here, the play fake freezes eight defenders and the safety is left on the loneliest of islands to watch Towner blow past. The repeated video game jukes at the tail end were just insult to injury. The play action, here, is uninspired at best. And, yet, all three backers freeze while Dalton Ponchillia casually sticks a dig route in behind them. First down. Unpredictability leads to confusion, which leads to hesitation. Game over. The boundary corner has no eligible receiver to his side of the field -- save for 300-pound left tackle Jimmie Sims, in the event that he reported eligible. There is no pass action, but De'Andre Ferby is past the line of scrimmage before he begins heading in the general vicinity of the ball carrier. With a hat on a hat, the Tops execute a nice first-down run in the red zone. I'm 90 percent sure this is supposed to be Cover 4. But the play-side safety bites unbelievably hard on the spot pass fake, and the corner -- who actually sort of, maybe recovered from a false step in the same direction -- suddenly abandons Mik'Quan Deane, who is running down the sideline. Sometimes it's hard to know what a secondary was doing with its coverage, but this is not any kind of coverage. Wide splits with the trips to the field. Super light box. Easy win. Here, the Charlotte secondary is in Cover 2. The Tops beat it with a super basic 5-7 route combination -- stop route on the outside to lock up the cornerback with a corner route over the top. Once the receiver gets outside leverage on the safety, it's all over. The key takeaway in all of this? Western Kentucky's rediscovered offensive success is sustainable. The Hilltoppers didn't score a bunch because Charlotte didn't defend. They didn't hit a couple of gimmick plays for big scores. The Tops capitalized on 49ers mistakes, struck a balance in their offensive playcalling, and won their 1-on-1 battles. Most importantly, Western found the big play. White made all the throws he had to make. Wide receivers like Kylen Towner took advantage. 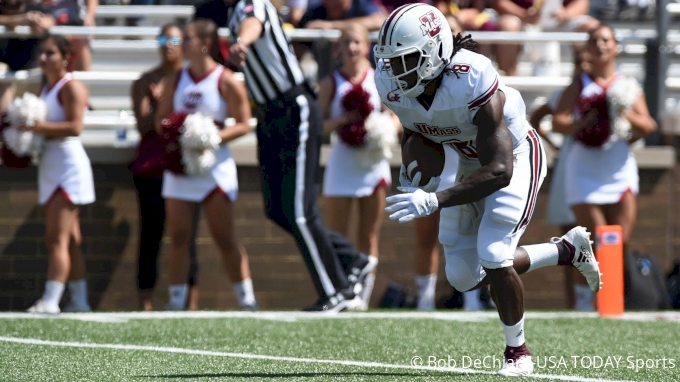 In the process, the running game opened up and the Toppers took advantage. That's a recipe for success no matter who the opponent is each week.